Micro Mega Meta is a design-driven inquiry into the future of humanities research and scholarly production. Through the creation of speculative environments and interfaces, the project aims to provide a critical alternative to the information technologies envisioned through popular media and corporate promotions that tend to emphasize military, scientific, and business applications. Historically, the Humanities has been responsible for the maintenance and interpretation of the cultural record‚ a record that now grows exponentially. Much of the work of the Humanities could be described as micro—close reading and deep interpretation of individual artifacts and small collections. The Humanities has also been home to the meta—philosophical inquiry, critical theory, comparative analysis, and history. What happens to the micro and the meta in the world of the mega? Does quantity, power, and scale consume inquiry, deep attention, and ambiguity? 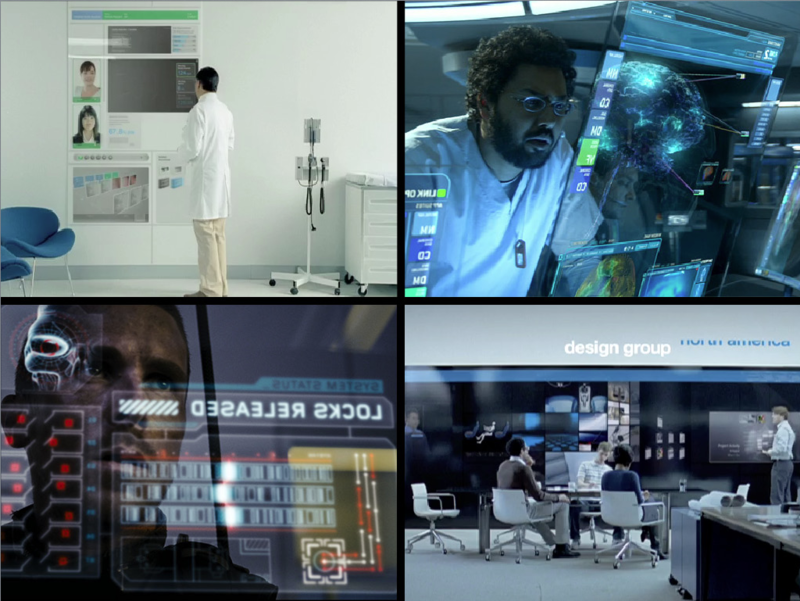 Images from corporate future visioning videos, Hollywood films, and television. Not surprisingly, such visualizations tend to be dominated by military, scientific, and commercial interests and values. But these real and imaginary information environments can be alien to the messy, associative, subjective, poetic, philosophical, and theoretical concerns of the Humanities. How different would these look if Humanities values—critical thinking, subjective interpretation, situated knowing—were built into the technological infrastructure and information interfaces? 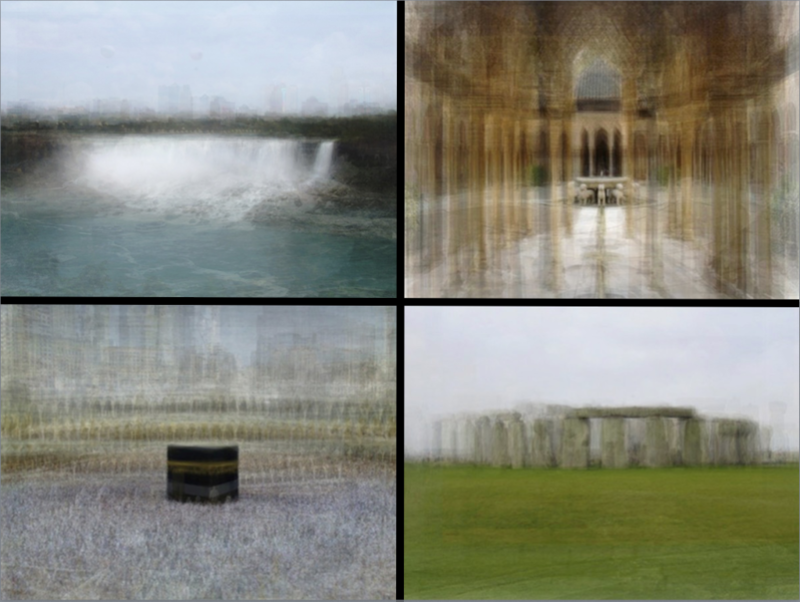 Photographs by the artist Corinne Vionnet capture multiple points of view in a single image. One can imagine moving around within the image to experience multiple, co-existent perspectives. Micro Mega Meta will use design to consider what the qualities and capacities of such information environments might be through design experiments and writing informed by software studies, science and technology studies, digital humanities, and speculative critical design. Ultimately, Micro Mega Meta hopes to make an argument for the contributions design can make to new modes of knowledge production.